There appears to be a significant care gap when it comes to diagnosing and treating osteoporosis in men. Often mistakenly considered a woman’s disease, osteoporosis appears to be underdiagnosed and undertreated in older men, leaving them vulnerable to early death and disability. The International Osteoporosis Foundation (IOF) on Oct. 9, 2014 reported that one-third of all hip fractures worldwide occur in men and alarmingly the mortality rates are as high as 37% in the first year following fracture. The IOF also released a report titled “Osteoporosis in men: why change needs to happen,” which suggests that men are twice as likely as women to die after a hip fracture.1 The report is a comprehensive guide to osteoporosis prevention in men and is authored by IOF board member Peter Ebeling, MBBS, MD, FRACP, Chief of the Department of Medicine at Monash University in Victoria, Australia. According to Dr. Ebeling, in the United States, the number of hip fractures among men is expected to increase by 51.8% from the year 2010 to 2030. In contrast, the number among women is expected to decrease by 3.5%. Dr. Ebeling said a battle between the quantity and quality of life is on the horizon. 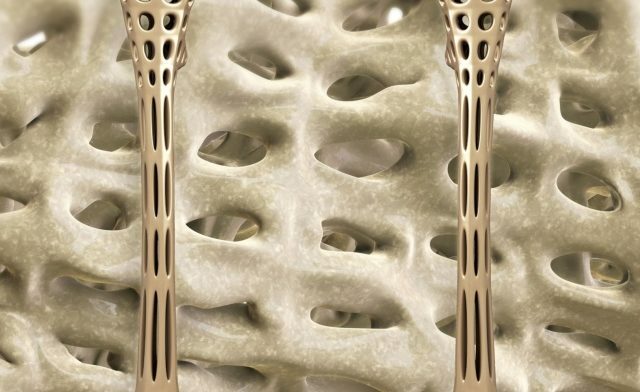 As life expectancy increases for the majority of the world’s population, we can expect the financial and human costs associated with male osteoporotic fractures will increase dramatically, he said. In 1950, there were approximately 90 million men in the world aged 60 years and older. That number is projected to be 900 million by 2050, according to Dr. Ebeling. “It is an important clinical problem. Men have higher mortality rates and their risk for death is much higher,” said Alicia Morgans, MD, an Assistant Professor of Medicine at Vanderbilt University in Nashville, Tennessee. Dr. Morgans said testing men for osteoporosis is not occurring as frequently as it should because most men have never considered it a real concern. She said it is a disease that needs to be discussed more often among physicians and their patients. However, this conversation usually never occurs for a host of reasons. “A lot of men with osteoporosis have other medical problems, such as hypogonadism, prostate cancer or issues with alcohol use, and they are addressing the myriad of problems they have. Osteoporosis is left by the wayside. They are focusing on more pressing issues and you are treating symptomatic problems and things that are asymptomatic can be forgotten,” Dr. Morgans said in an interview with Endocrinology Advisor.